After graduating from the University of Toronto in June 2006, Sandeep travelled to Nepal and India with Luke Yorkden-Chamberlain, where he had a very different kind of educational experience. While volunteering at the Srijanatmak Kala Guthi in Lalitpur, Kathmandu, a school that seeks out bright and talented children who would not have otherwise had access to education, Sandeep gained a fuller appreciation for what a difference a good education makes in the lives of Nepali children. As he met more and more Nepali families living in poverty, however, he also gained a fuller appreciation for the number of barriers that deny such an opportunity to so many children across the country. When the chance arose to join Raju Tuladhar, a teacher at the Kala Guthi, and Luke to form NCEP, Sandeep saw the opportunity to turn the despondency evoked by having witnessed so much poverty into empowerment. Luke and Sandeep often asked the families they met across Nepal to tell them one thing that they wished they could change in their lives; a good education for their children was almost invariably the answer. Through NCEP, Sandeep is committed to making that happen. In addition to his time as a volunteer teacher in Nepal and later in India, Sandeep has participated in social work and charitable projects in Canada and the UK. These projects include: providing tutoring for students with learning disabilities; coordinating and participating in United Way Toronto events; and developing promotional material for Cancer Research UK’s Relay for Life in Jersey, Channel Islands. 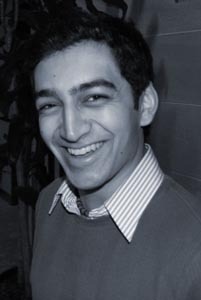 While at university, Sandeep was a Dean’s List student and received numerous scholarships and awards as a captain of the multi-championship Varsity fencing team. Sandeep currently works in Toronto, Canada. NCEP represents a very personal cause for him, and he dedicates his creativity, leadership and communication skills to help realize its vision.